Flamenco dance (baile) is a highly-expressive, Spanish dance form. The flamenco is a solo dance characterized by hand clapping, percussive footwork, and intricate hand, arm, and body movements. The dance is usually accompanied by a singer and guitar player. With roots in Indian, Arabic, and Spanish culture, flamenco dance is known for its sweeping arm movements and rhythmic feet stomping. Flamenco dancers spend a great deal of time practicing and perfecting the often difficult dance. 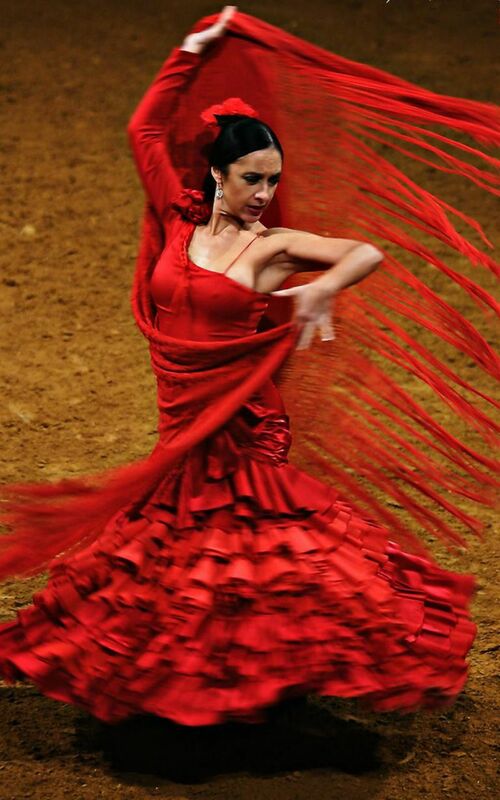 Although there is no single flamenco dance, dancers must follow a strict framework of rhythmic patterns. The steps a dancer performs are dependent on the traditions of the song being played. Perhaps the greatest joy of flamenco dancing is watching the personal expressions and emotions of the dancer, which change many times during a single performance. Flamenco dance and the guitar music that accompanies it comes from southern Spain in the Andalusian region associated with the Roma or gypsy people. In Spain, the Roma are called Gitanos. Thought to have migrated from northwest India between the 9th and 14th centuries, Gitanos used tambourines, bells, and wooden castanets and incorporated it into the music. Flamenco is the result of Roma music mixed with the rich cultures of the Sephardic Jews and the Moors, also living in southern Spain. If you look closely at flamenco dance movements, you may recognize arm, hand, and foot movements that closely resemble those of classical Hindu dance from the Indian subcontinent. Flamenco dancers, known as bailaores and bailaoras, are serious and passionate. Typical of flamenco dance, a dancer will often stand motionless and free of expression for the first few moments of a song. As the dancer begins to feel the music, the dancer might begin a steady beat of loud hand clapping. Then, as emotion builds, the dancer will begin a passionate dance. The dancing often involves fierce stomping, sometimes made louder with percussion attachments on the shoes, and graceful arm movements. Castanets are sometimes held in the hands for clicking, and folding fans are occasionally used for visual impact. Probably the most important thing you will need to start flamenco dancing is patience. The art of flamenco dance is often difficult to master. Besides learning intricate steps and movements, you will also need to learn how to nonverbally communicate with a musician or a singer. 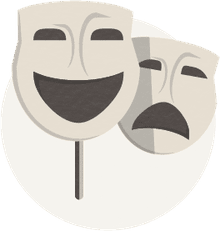 You will be taught how to properly display your innermost emotions and feelings to an audience. However, with a good instructor and a bit of patience, even an inexperienced dancer can learn. When looking for a place to learn flamenco, begin your search online in your community for the nearest flamenco society or you can search the yellow pages. You would do best to narrow your search to a professional school with experienced teachers. It is not commonly taught in all dance schools. You will likely need to find a specialized school that teaches flamenco.